a range of position sensitive X-ray detectors (1D- and 2D). Customers benefit from our cutting-edge competence through cooperation with leading research institutions - bridging the gap to synchrotrons - and the wide application experience gained from our partnership with industry and academia. 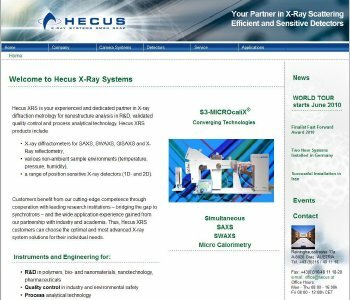 Thus, Hecus XRS customers can choose the optimal and most advanced X-ray system solutions for their individual needs.